Pointbid use technology to maximise order picking productivity, boost accuracy and provide an efficient and flawless customer experience. We continually review and develop key technologies that integrate and work together, investing in development to create systems that all departments use consistently. 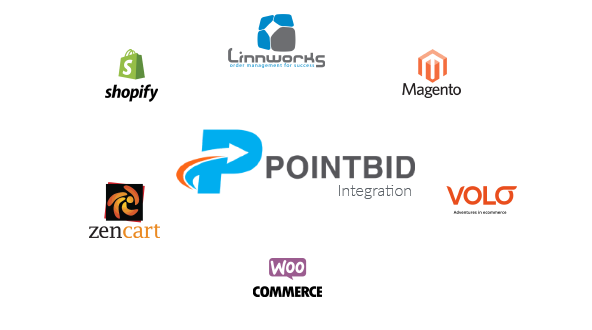 Pointbid offers effortless multiple channel integration to many, sales channels as well as your own site. We work with you to achieve flawless and error free data transfer. This approach provides a flexible and controlled approach to fulfilment management. Whether shipping your Amazon orders through us, managing your Shopify fulfilment or process orders from your custom Woocommerce or Magento website, rest assured we have the expertise to comfortably integrate with all major shopping carts. The flexibility to choose your courier will no doubt be important to you. 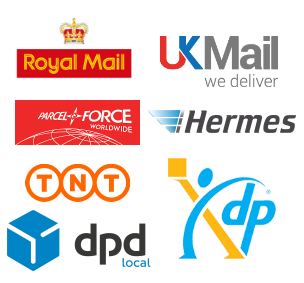 Pointbid integrate directly with many couriers, providing clarity and accuracy of delivery details on integrated labelling and provision of direct consignment tracking. Our web portal provides visibility of your order and live inventory data. In addition, it can be used to track consignments on any nominated courier sites. Let our order fulfilment software do the heavy lifting so that you can concentrate on growing your business and enhancing your customer experience. Have visibility of your inventory and online orders. Enjoy 100% uptime and visibility by accessing our order fulfilment software from any device, any time. Partnered with our fulfilment centre management and experienced staff, you will reap the rewards of high accuracy and improved efficiency. Our internal development team are able to react quickly to new requirements or demands made by our customers. We also help with implementation of systems and processes between you and your customers (B2B). At Pointbid, we understand data and process, integration and automation allow us to deliver streamlined services whatever your needs.